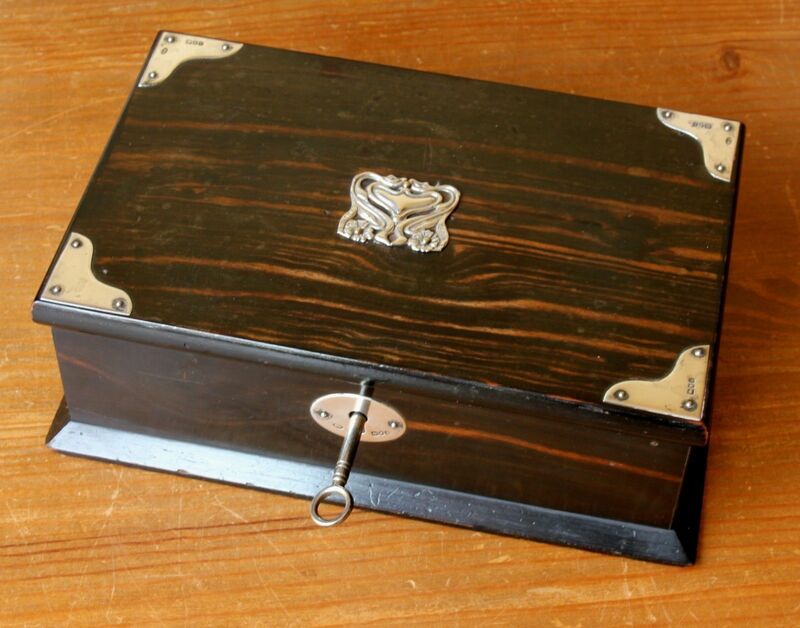 Coromandel Wood & Silver Jewellery Trinket Table Box. Hallmarked 1901. 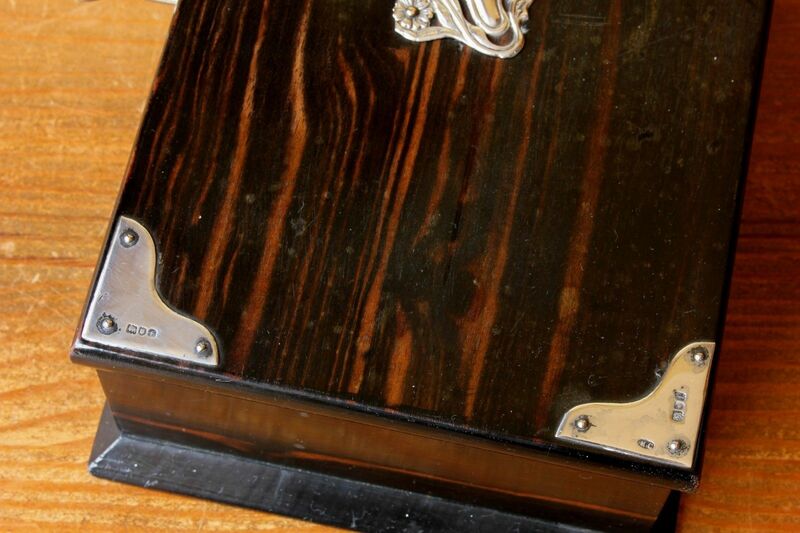 This beautiful antique Coromandel jewellery / trinket box by M Chapman dates from 1901, has silver decorations to all four corners and the centre of the lid. 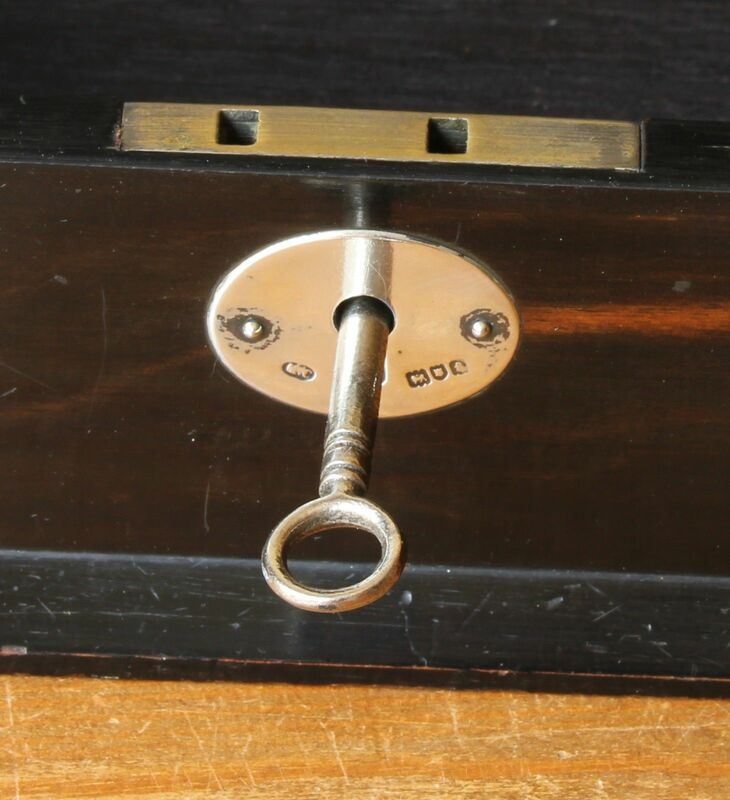 The box has a fitted lock to the front with a hallmarked silver escutcheon and comes with a key. 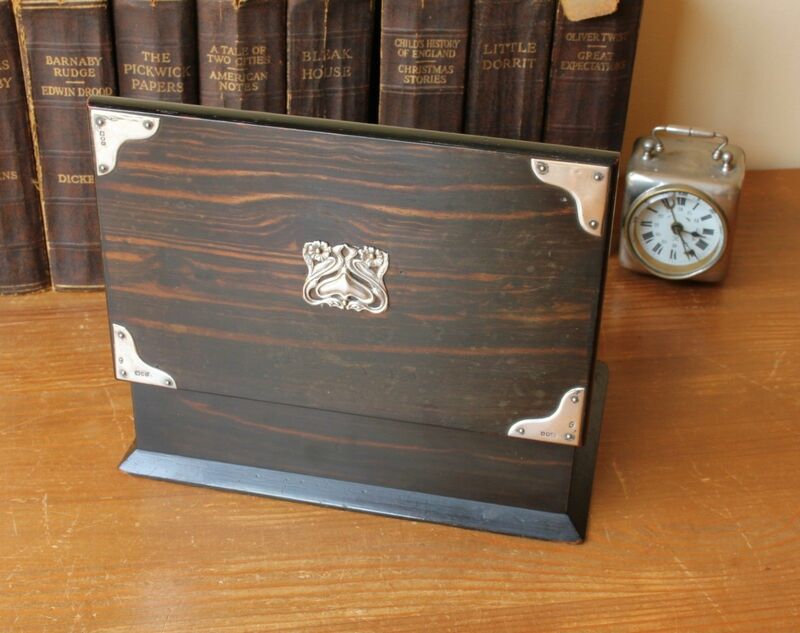 A lovely usable item that would make a wonderful trinket / jewellery box or just to look nice on a dressing table. Length - 21.5 cm (8 1/2") approx. Width - 14 cm (5 1/2") approx. Height - 7 cm (2 3/4") approx. Material: Coromandel Wood and silver. Hallmarked on the corner pieces and front escutcheon: Lion for Sterling Silver. Leopards head for London. Date letter f for 1901. Maker: M.C for M Chapman, Son & Co Ltd.
Hallmarks on central top decoration: Lion for Sterling Silver. Condition: Very good antique condition with light signs of wear. A few nicks, light wear and light scratches. The central decoration has been later added. 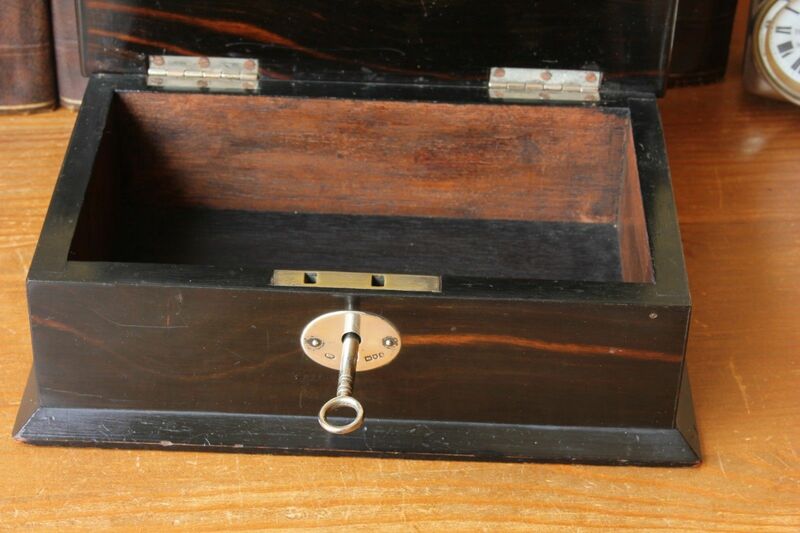 The box does lock using the key but can sometimes be a little temperamental and needs an extra turn. 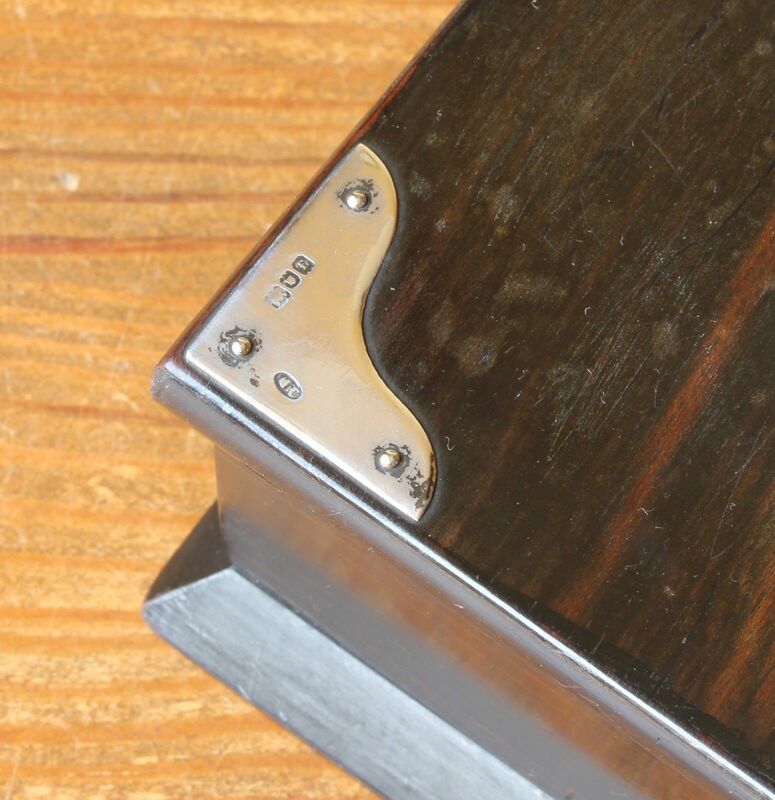 One of the corner pieces has a rubbed hallmark. Please see pictures.